From the New York Times bestselling author of Help, Thanks, Wow; Small Mercies; and Stitches, a wise and witty novel about motherhood. Look out for Anne's next book, Hallelujah Anyway, coming in 2017. 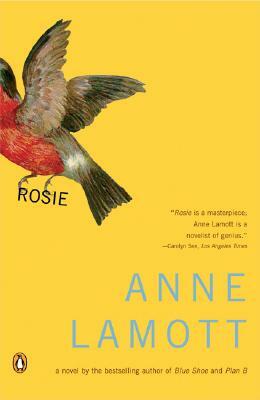 In Anne Lamott’s wise and witty novel, the growing pains of motherhood are portrayed with rare humor and honesty. If Elizabeth Ferguson had her way, she’d spend her days savoring good books, cooking great meals, and waiting for the love of her life to walk in the door. But it’s not a man she’s waiting for, it’s her daughter, Rosie—her wild-haired, smart-mouthed, and wise-beyond-her-years alter ego. With Rosie around, the days aren’t quite so long, but Elizabeth can’t keep the realities of the world at bay, and try as she might, she can’t shield Rosie from its dangers or mysteries. As Rosie grows older and more curious, Elizabeth must find a way to nurture her extraordinary daughter—even if it means growing up herself.